By Steve Green: (Sir) Roger Moore died today, May 23, “after a short battle with cancer”, aged 89. Appearances as James Bond aside, he did take the double lead in The Man Who Haunted Himself (1970), adapted from Anthony Armstrong’s short story “The Strange Case of Mr Pelham”; Moore apparently considered it his favorite role and among his best performances. Recent work included a vocal role in Troll Hunters, scheduled for release next year. 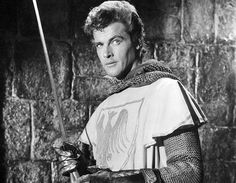 Moore’s other roles of interest to genre fans include Sir Wilfred of Ivanhoe in the Ivanhoe series (1958), Beau Maverick in Maverick (1959-1961), and Simon Templar in The Saint (1962-1969).